Classic Colonial set on a cul-de-sac street in Sherwood Forest offers 3700 square feet of living space … True 5 BR, 3 full bath, 2 half bath, grand entry foyer, remodeled eat-in KIT with granite counters, formal LR with marble fireplace, formal DR, office/study, family room with floor-to-ceiling stone fireplace, laundry room, master bedroom suite, spacious bedrooms & hardwood floors throughout. Fully finished 3rd story offers great room, 5th bedroom and a full bath! 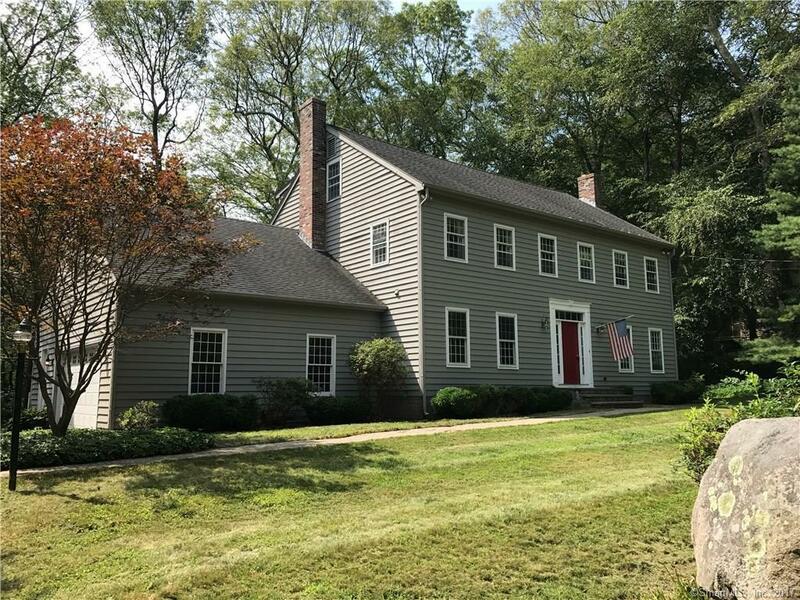 Attached 2 car garage w/ workshop, full walk-out basement & French door leading to composite deck overlooking private backyard abutting 100+ acres owned by Avalonia Land Conservancy. Directions: Rte 12 To Whalehead Rd To Friar Tuck Dr. To Robin Hood Dr.